Like any game of luck, strategies don’t bring any guarantee of increased chances for a win. While roulette is a game based mostly on chance, there are some tips that will help players win more often as opposed to playing without any prior knowledge of this classic casino game. 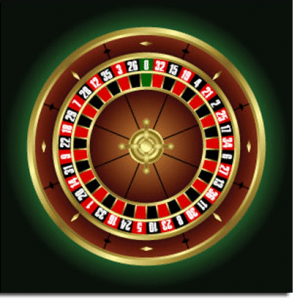 Roulette is an easy game to understand, making it appealing to newbies and recreational gamblers, with little to no skill required in order to play. The simple format means the game also comes with a higher house edge than table games that require player skill like poker or blackjack. Understanding the house edge of different roulette bets, as well as a few general words of advice for roulette won’t alter the outcome of the game, but will increase your chances of winning more often, or at least not losing as much money. This is the golden rule of roulette. The difference between these two main versions of the game is that the European roulette wheel contains only one zero while the American wheel contains one zero along with a double zero. Although this difference seems small, it changes the house edge intensely, increasing the European house edge of 2.7% to the American house edge of 5.26%. Based on the favourable house edge of European roulette, players should always choose European roulette over American roulette if the choice is available. Always. Land based casinos often only offer American roulette, as the higher house edge is preferable to their revenue stream, so when playing roulette in real life punters don’t always have control over which version they play. Playing online roulette means there is a much wider range of options to choose from, giving players freedom to play European style roulette at all times and increase their chances of winning. This bet applies to American roulette only, so if you’re playing the American wheel (which as advised above, you should only be doing if it’s strictly the only version available) keep in mind that you should never put a wager on a Top Line bet. This inside bet is otherwise known as a First Five bet and can be made on the five numbers 0-00-1-2-3. It brings the attractive payout of six to one, but also comes with a house edge of a gigantic 7.89%, which is statistically the worst possible bet in the whole game of roulette. Avoid the temptation of a Top Line (aka First Five) bet at all times. This is another golden rule that can be applied when betting on any game, be it the pokies, horseracing or casino table games, ensuring responsible and fun gambling that isn’t to a player’s detriment. In roulette it’s important that you know your limits and stick to your predetermined bankroll, remembering that the odds are ultimately against you. While roulette does offer chances for some hefty wins, low odds reinforce that it’s supposed to be a fun game played for entertainment and enjoyable thrills, so don’t lose sight of the bigger picture. Don’t bet more than you stand to win – inside bets in roulette bring significantly higher payouts, but as is the nature of the game, the chances of winning an inside bet are significantly lower. Inside bets include Single Number (or Straight Up), Street, Split, Corner, Six Line, Trio, Basket and Top Line and bring with them some pretty tempting wins. Be mindful that the odds of winning an inside bets are well against you, and should be avoided unless you can stand to lose without damage. Employ the internal mantra to never bet more than you stand to win. The Martingale system is a heavily debated betting system based on the belief that a player can double their bet after every loss in order for the next win to make up for all previous losses, eventually winning a profit equal to the original bet. Put simply, it’s a system that suggests that chasing losses will eventually result in a profitable win or at the very least, break even. While the Martingale system does indeed carry some legitimacy, it should be avoided as the risks are much too high and players would require a never-ending bankroll in order for it to work. Trying to employ the Martingale betting system in roulette results in a risk increase to an already high risk game. When playing roulette, remember that it is a game of chance. If you find yourself hitting hard losses, exercise self-discipline and know when to throw in the towel. Chasing losses in systems like the Martingale method are bound to hurt more than they help. The En Prison rule is only available in European roulette, which is yet another reason why players should choose this version over American roulette. The En Prison rule is not always included, so check the rules of the game before you start playing and utilise the option if it’s available. It’s rare to find a roulette game in a bricks and mortar casino that employs En Prison as it lowers the house edge, but it can be found much easier in online roulette. This rule means that if the ball lands on zero, the bet doesn’t go automatically to the dealer but instead presents options in which the player has the opportunity to get half of their wager back. 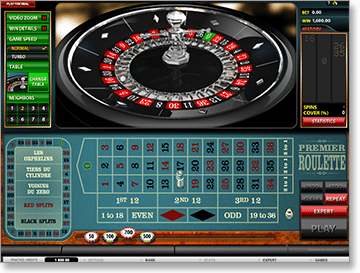 Roulette is designed to be a fun and exciting game of luck and should be played as such. Playing roulette online comes with the added benefit of being able to play this beloved casino game from the comfort of your own home, or the convenience of playing on the go with mobile casinos. Placing real money bets online means roulette can indeed be lucrative, but it’s important to set yourself limits (time limits and money limits) before you play so that you can simply enjoy the thrills of this great game without the pressure. For the best online roulette on the Web, sign up and play at www.GDayCasino.com.